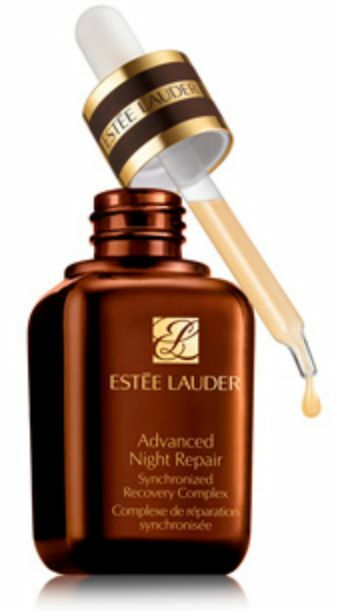 Among its famous serums, Estée Lauder has updated its classical Advanced Night Repair in October 2009. Light O/W emulsion based on the following surfactants : Oleth-3 Phosphate / Oleth-3 / Oleth-5 / Choleth-24 (and) Ceteth-24 (sold by Lubrizol as Solulan C24) , thickened and stabilized with very classical Carbomer and Xanthan Gum. Solulan C24 or equivalent raw material is claimed to prevent excessive viscosity build up in fluid emulsions, which fits with the texture of Advanced Night Repair. It is also claimed to provide a waxy after-feel, which can be perceived by the user as nutrition. – Methyl Gluceth-20 is sold by Lubrizol as Glucam E20. It is a glucose derivative, and is claimed to retard excess water-loss and improve skin after-feel. – Glycereth-26 is sold by Croda as Volpo G26. It as a surface-active efficiency, but its main functions are claimed as humectant and moisturizer. – Bis-PEG-18 Methyl Ether Dimethyl Silane is sold by Dow Corning as Dow Corning 2501 Cosmetic Wax. One can say that it is a “water-soluble silicone”. It is really a way to introduce a little of silicone properties in a water phase. It is firstly claimed to be a humectant / moisturizer, due to its hydrophilic part (“Bis-PEG-18 -“). But it is also claimed to “detackify” (that is to say it helps to remove sticky feel of formulations). These two aspects of this raw material are certainly the reasons why Lauder used it : Lauder has clearly introduced several moisturizing agents to improve the efficiency of its formula on moisturization. DC 2501 Cosmetic Wax is one of them. But this ingredients helps also to improve the cosmeticity of the formula. The oily phase is made of squalane, which brings nutrition, without greasy feel. There are no difference between the old and the new version of Advance Night Repair formula skeletons : the surfactants, the thickeners, the emollients and oils are the same. We clearly see here the will of Estee Lauder not to change a winning texture. 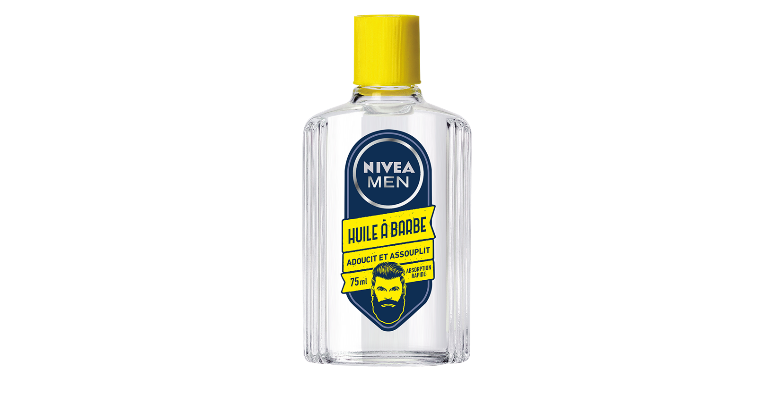 The renovation of its star product is based on new active ingredients, with an improved and renewed communication. The exact composition of the new Advance Night Repair formula has been found in Estée Lauder’s patent application US20090220481, and is available below. 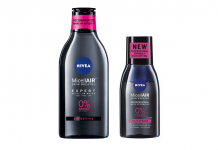 The formula is protected against microorganisms by Phenoxyethanol, Methylparaben and Benzyl Alcohol. -Bifida Ferment Lysate : sold notably by CLR – Chemlishes Laboratorium Dr Kurt Richter as Repair Complex CLR, it is the active ingredient in the highest concentration in the formula. It is claimed to increase DNA repair, which is the reason to be of Advanced Night Repair. – Ethylhexyl Methoxycinnamate : UV-B filter. It is not used here to give an SPF protection to the formula, but maybe to protect the formula itself against UV degradation. – Cola Acuminata (Kola) Extract : no data available on its properties or supplier, it could be a proprietary ingredient of Lauder. – Retinyl Palmitate : famous anti-aging ingredient, derived from Vitamin A. – Pantethine : dimeric and more biologically active form of Vitamin B5, it is an intermediate in the production of Coenzyme A by the body. – Sodium RNA : sodium salt of ribonucleic acid, few informations are available. It has skin conditionning properties, claimed here to help repair and renew the skin. – Sodium Hyaluronate : it is a polysaccharide naturally found in the body, functionning as a tissue lubricant. It is the salt form of Hyaluronic Acid. It is often used as a moisturizer due to its capacity to hold water. – Arabidopsis Thaliana Extract : extracted from Arabidopsis Thaliana, according to these patent applications, it is said to be Roxisomes™ (Water (and) Arabidopsis Thaliana Extract (and) Lecithin), a liposomal form of this plant extract, from AGI Dermatics. It contains a DNA repair enzyme, 8-oxoguanine DNA glucosylase, said to “repair the oxydative 8-oxoguanine damages in both genomic and mitochondrial DNA”.According to this AGI Dermatics press release, 8-oxoguanine DNA glucosylase (OGG1) encapsulated in liposomes “is an effective agent in treating photodamaged skin by enhancing DNA repair, reducing MMP-1 secretion and increasing collagen production in UV irradiated skin cells”. – Tripeptide-32 : this ingredient is a polypeptide. According to the patent applications mentioned above, it is an ingredient supplied by ISP-Vincience, under the trade name Chronolux™. This ingredient is claimed to be a “CLOCK or PER1 keratinocyte gene activator” : according to patent application US20090220481, CLOCK (Circadian Locomotor Output Cycles Kaput) and PER1 (Period Homolog 1) genes are encoding for protein that regulate circadian rythms. They are also present in keratinocytes, and they promote synthesis of corresponding proteins which promote cellular viability and repair. These genes are most activated during daylight, and “turned off” during night. The invention protected by this patent application is that activation of CLOCK and PER1 genes present in keratinocytes results in synthesis of proteins that promote cellular viability, cellular longevity, inhibition of cellular damage due to environmental aggressors, and improved repair of DNA damage. Using Chronolux in the new Advance Night Repair, Estee Lauder aims to act on CLOCK and PER1 genes to promote viability and reparation of skin cells, preferably during the night when they are less active. – Lactobacillus Ferment : obtained from the fermentation of Lactobacillus. According to the patent applications, this ingredient is supplied by AGI Dermatics, under the trade name Adasomes™. It is a DNA repair enzyme known to be effective in repairing 06-methyl guanine base mutation damage. Two of the three new ingredients of the new Advance Night Repair are supplied by AGI Dermatics. Actually, AGI Dermatics has been acquired by the Estée Lauder Companies in September 2008. Its Chairman and President of the Board until 2008, Daniel B. Yarosh, is now Senior Vice President, Basic Science Research Estee Lauder. This acquisition is a major step for Lauder in the introducing DNA and Genes knowledge in skincare. Estee Lauder than emphasize the Chronolux technology that “helps get skin back in sync. Synchronization means helping your skin get its optimal natural repair“. No mention is made about the DNA repair enzymes of Roxisomes and Adasomes technologies. It is a quite broad range of action, addressing all the problems of aging skins : correction, prevention, wrinkle visibility, moisturization, sensitivity. This reinforces the positionning of Advance Night Repair as the first step of night treatment in the Estée Lauder range of skincare products. For the renovation of one of its pilar product, Estée Lauder has taken no risks in terms of texture : the structure of the new Advance Night Repair (surfactants, thickeners, emollients, oils) is strictly the same as the original formula. 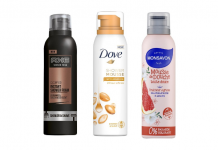 They did not even try to “clean” the formula, according to current attitude in the cosmetic industry, of the mediatically criticized ingredients (ie. parabens). But it is a real challenge for formulators to renovate a formula when it is as famous and used by so many consumers : the tiniest change, even barely noticable, can make a difference for consumer loyal to a product for years. Technically, Advance Night Repair is a very light emulsified gel (only 0.6% of oil – squalane and ethylhexyl methoxycinnamate). Its light yet moisturizing and emollient feel is given by PEG-75, Bis-PEG-18 Methyl Ether Dimethyl Silane and Butylene Glycol, Glycereth-26 and Methylgluceth-20. All these ingredients are water soluble, and claimed as good moisturizers, with good sensorial properties. The biological background of this renovation seems scientifically strong. It seems that the takeover of AGI Dermatics by Estée Lauder has greatly helped Lauder to build its knowledge in genes and ADN roles in skin beauty. Based on three new active ingredients, the communication of the new Advanced Night Repair is around DNA damage and DNA repair, through the activation of CLOCK genes. Even if the science behind this renovation is not easy to understand for a non-scientist, Lauder had as always the talent to make it quite simple yet “fashionable” for a cosmetic product. Incredibly informative and well researched article. To the author and this site – highly appreciated, thanks. I used the old formula ever since it first came on the market. 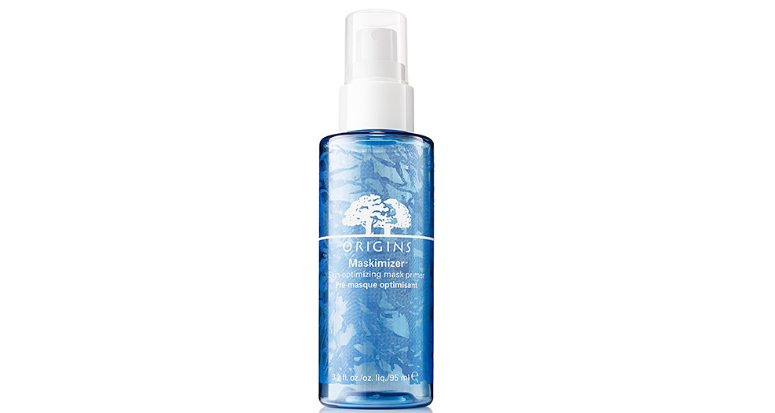 It worked very well for my dry-very dry skin as a serum under my moisturizer. The new formula is not as moisturizing and doesn’t work well for me at all. So, despite the minor changes, I find there is a definite difference between the old and new formulas. Thank you for your comment. Renovating an historical formula such as Advance Night Repair is always a big challenge for a cosmetic company, there is always the risk to lose usual consumers. You should share your opinion with Estee Lauder through their website, consumer call-backs are very usefull to go on improving products. I was surprised and pleased to see AGI on this site, as most references to this company are few, far between, and dated. I think I am one of the thousands who found Remergent DNA Repair to be the best tolerated and most effective of the anti-aging products for those with highly allergic skin. I have never tried either version of the EL Advanced Night Repair for fear of a reaction, and with absolutely no guidance from Dr.Yarosh for his consumers who paid top dollar for his products, I do think this is a breach of ethical standards and behaviors in the skin science community. Whether or not ANR/R DNA are considered cosmecuticals and thus fair game (in truth no different from any break through medical discovery), Dr. Yarosh presents and indeed supports the image of himself as a serious research scientist in skin cancer(s) genesis, prevention, intervention, etc. For those of us with highly sensitive skin who came to trust and rely on AGI, why the silence?